When ambulation becomes difficult, a commode is a safe solution that will cut down on the possibility for falls. Commodes are designed to be places by the bedside. They consist of a frame and a waste receptacle, that is easily removed and emptied. 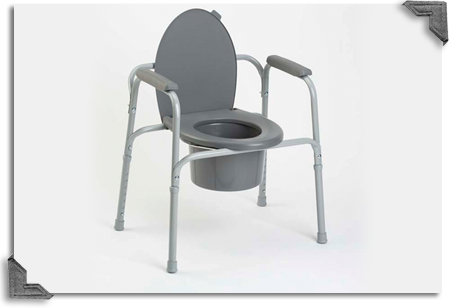 Contact our Home Medical Equipment staff today to request more information about commodes.